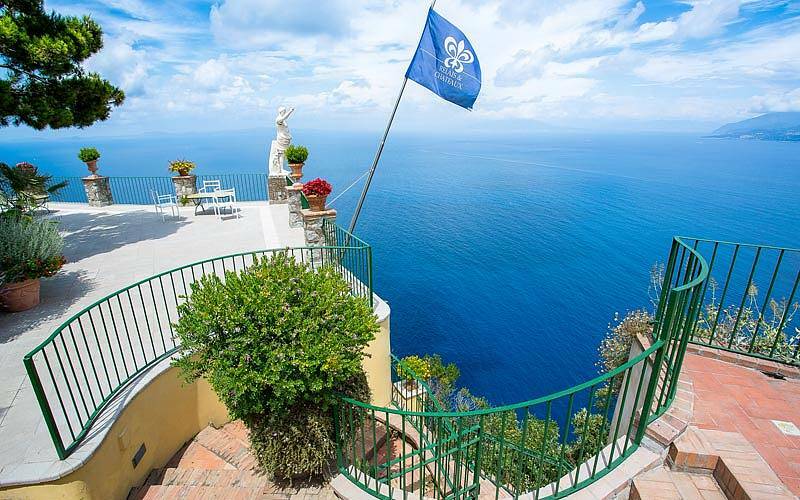 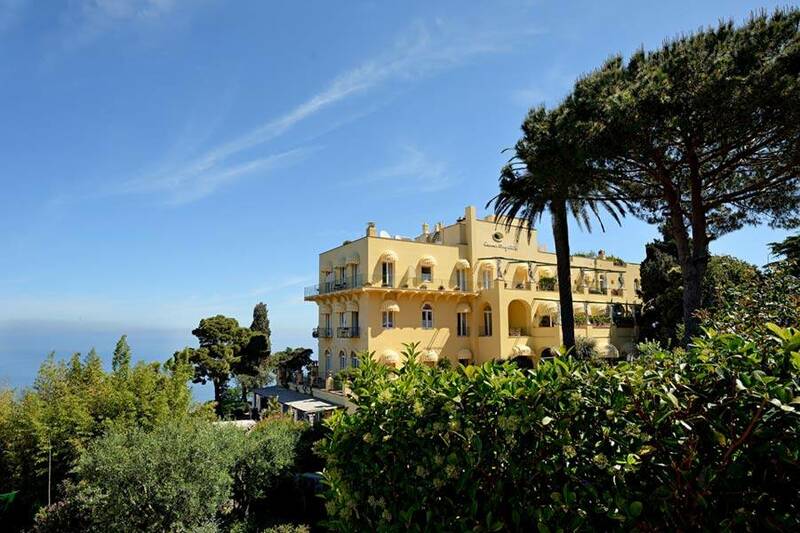 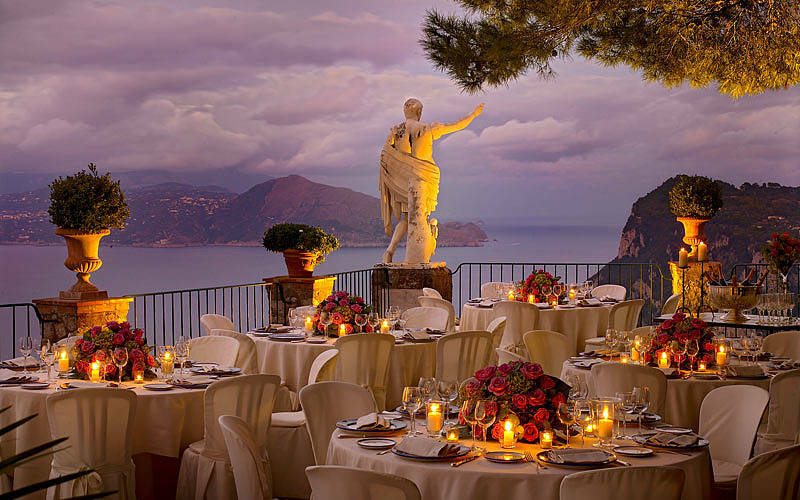 Perched on the cliff edge, some 1000 feet above the sea, Hotel Caesar Augustus offers the most spectacular views in the whole of Capri, if not the world! 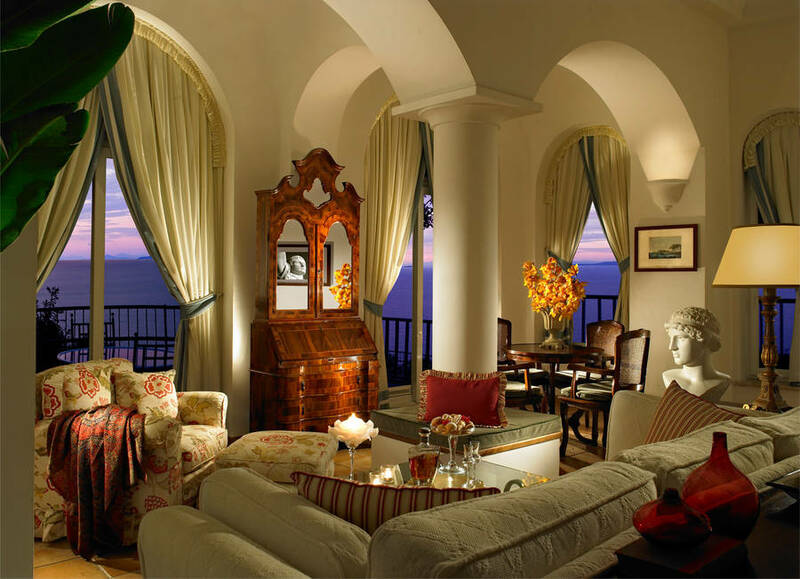 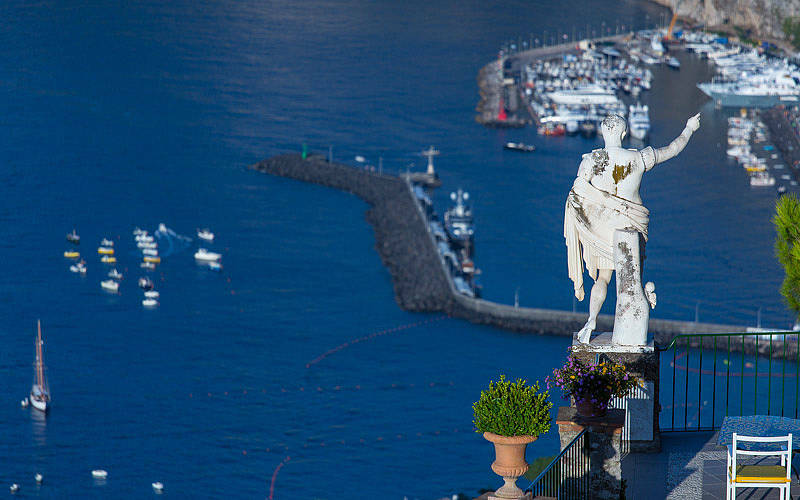 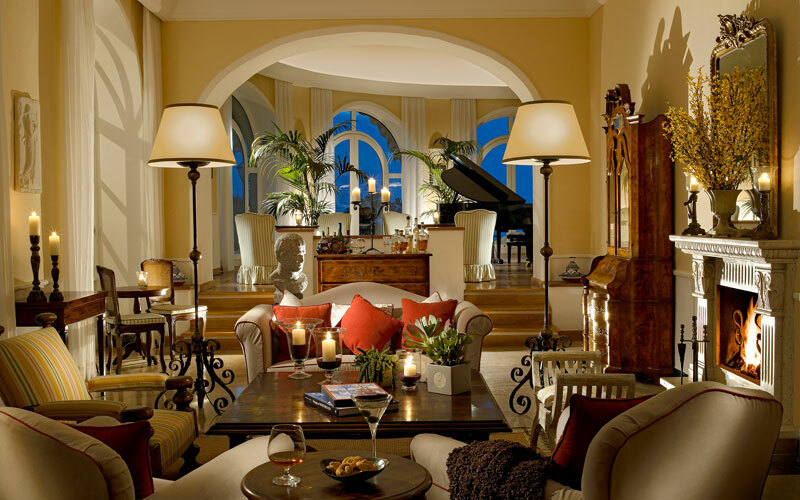 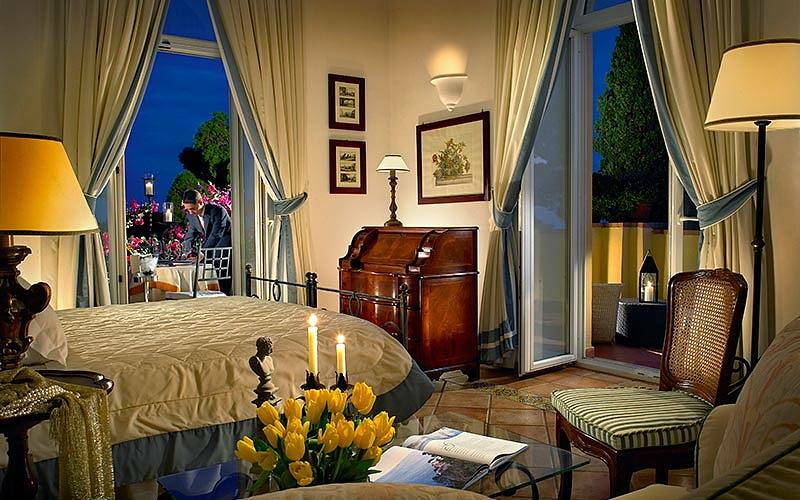 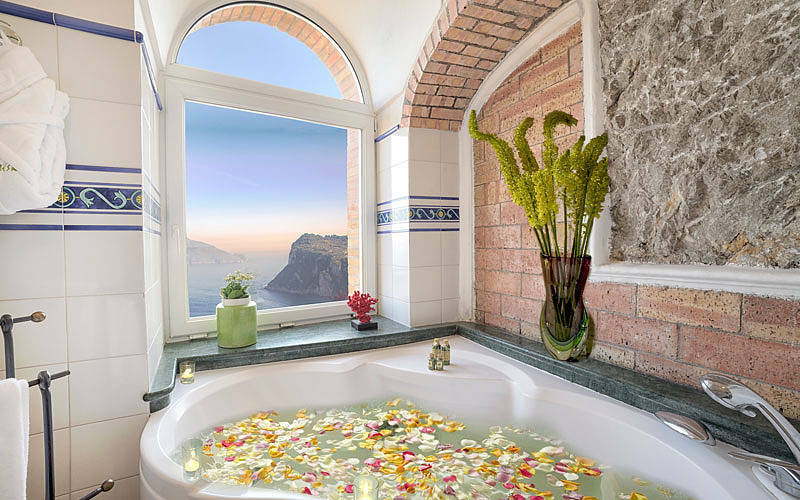 From the rooms, terraces and cliff top gardens of this iconic 5 star luxury hotel, the entire sweep of the Bay of Naples can be admired. 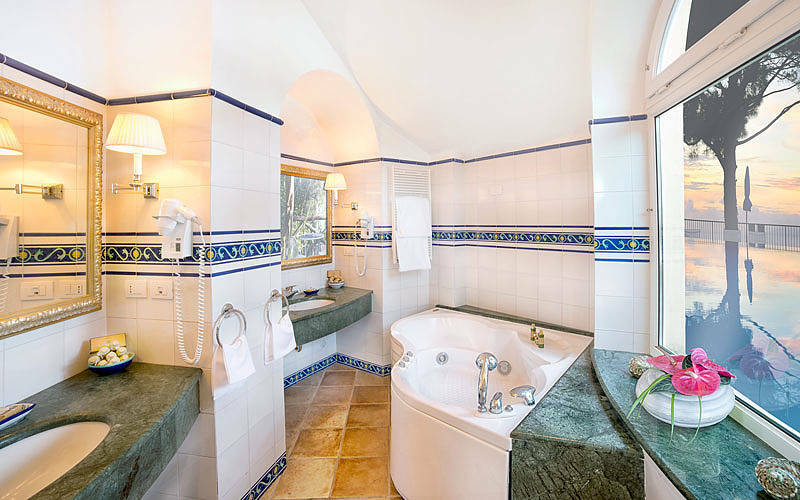 Super King size or four-poster beds, massive marble bathrooms with hydromassage tubs, many of which with sea view, an exclusive olive oil courtesy range, and direct access to your very own solarium terrace or garden: just a few of the reasons why the hotel's Master Suites are so desirable and desired! 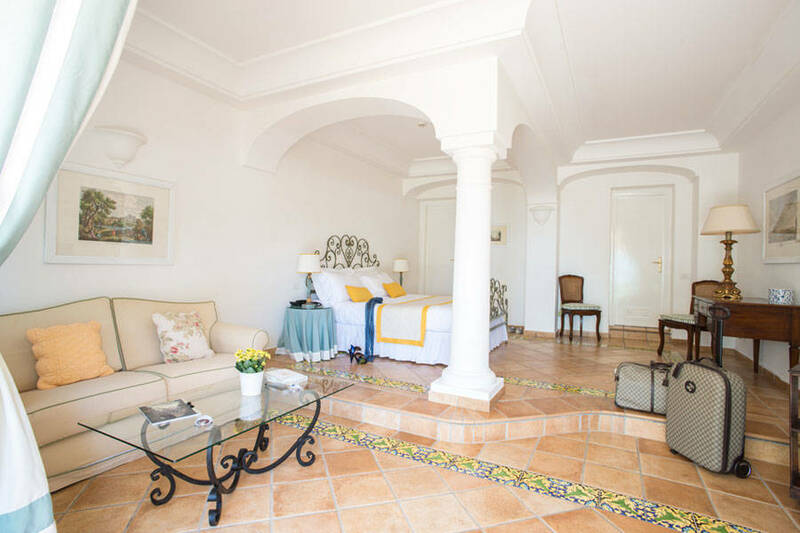 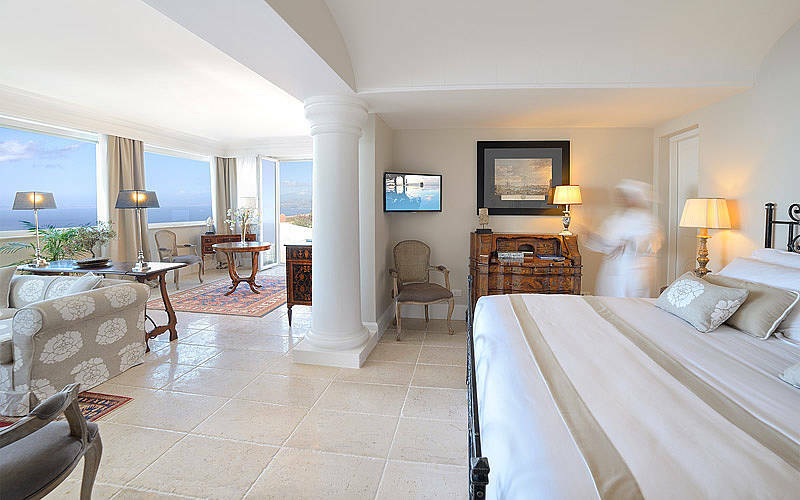 Occupying the whole of the top floor, the Capri Master Suite is by far the most sought-after room in the house. 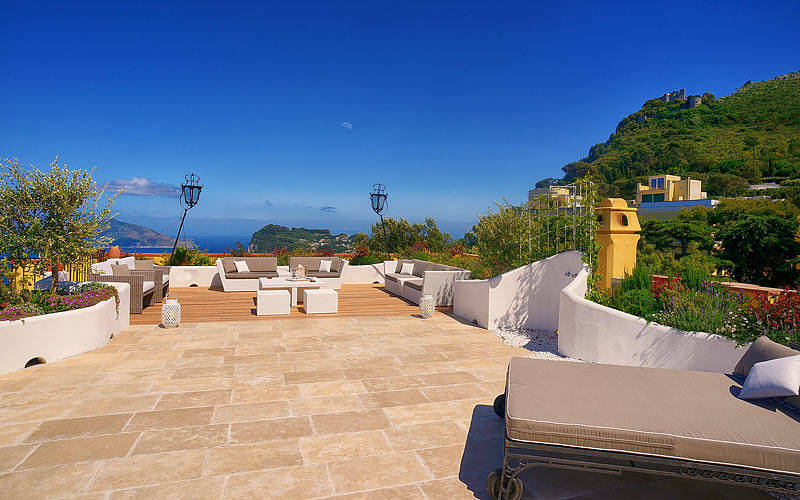 It's the most panoramic too: from the 180sqm terrace amazing views of Ischia, Procida, Sorrento, Mount Vesuvius can be seen. 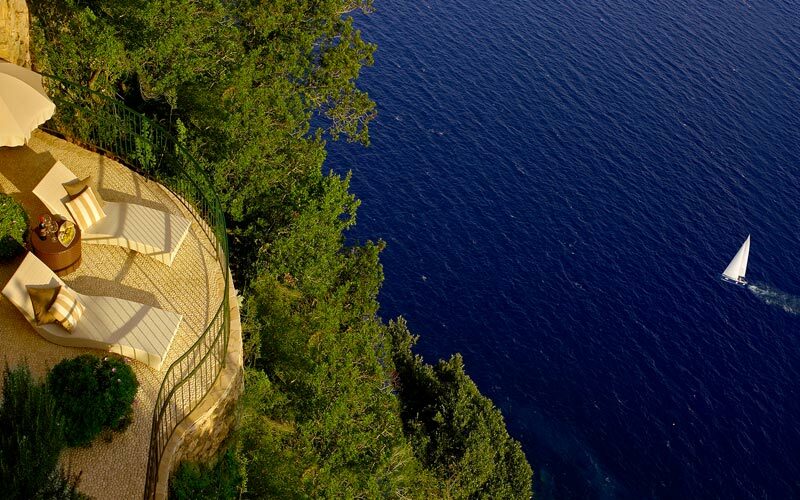 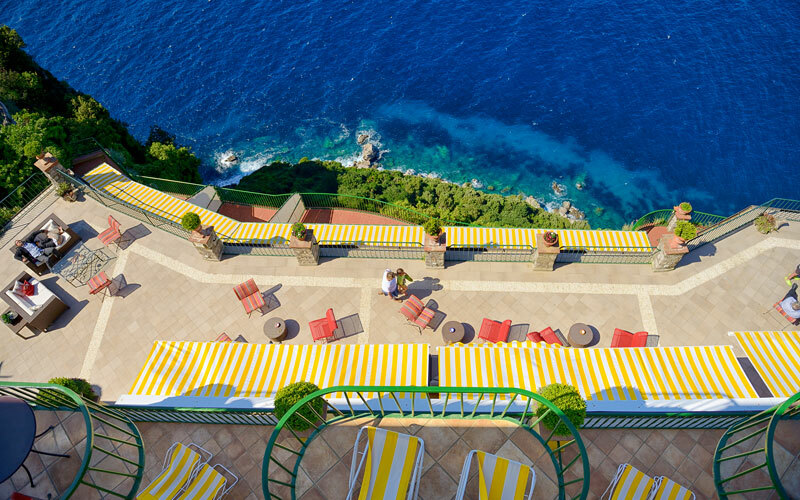 Hotel Caesar Augustus' Infinity swimming pool, bordered by private sun bathing decks and lovely fragrant gardens, seems to flow directly into the sea. 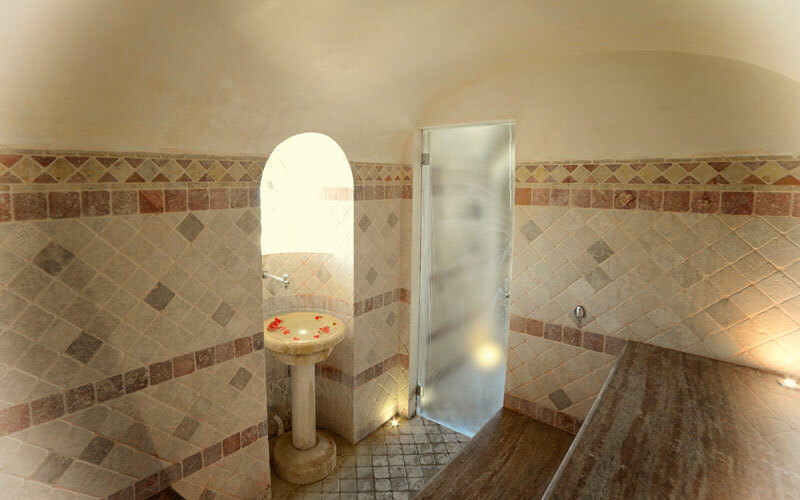 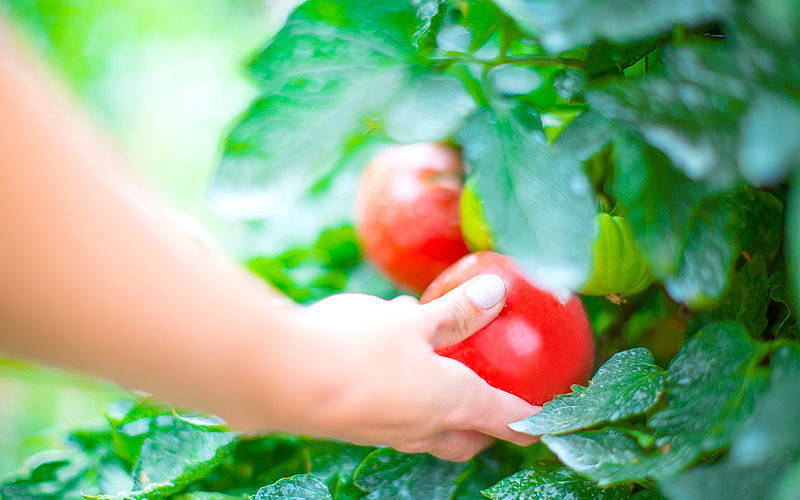 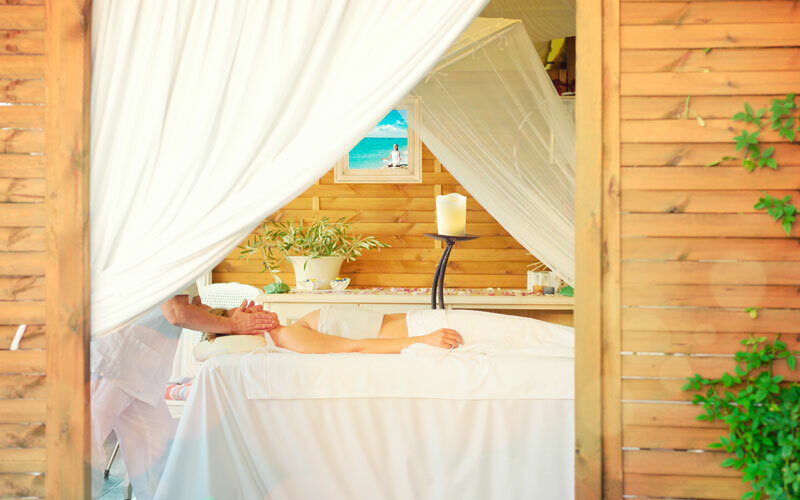 Next to the pool, amidst the citrus trees, there's a secluded spa corner for Shiatsu massages and steam baths. 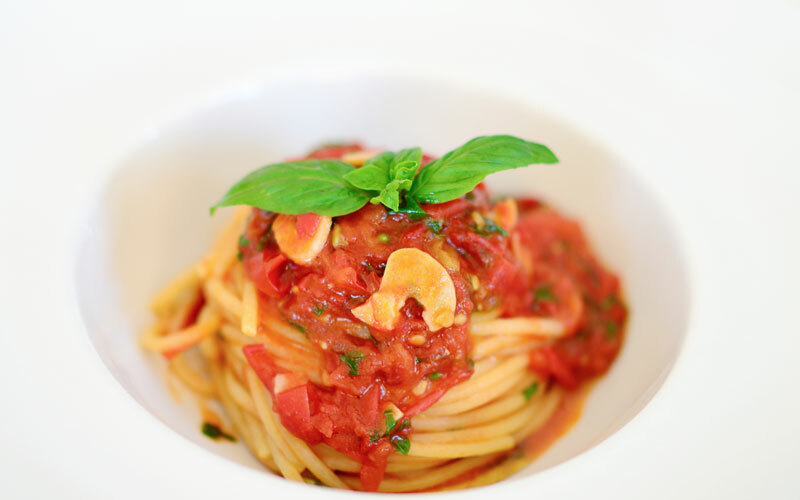 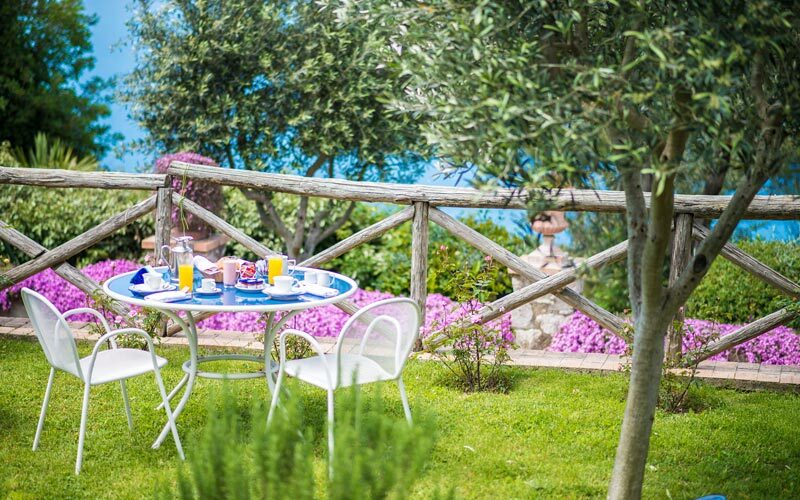 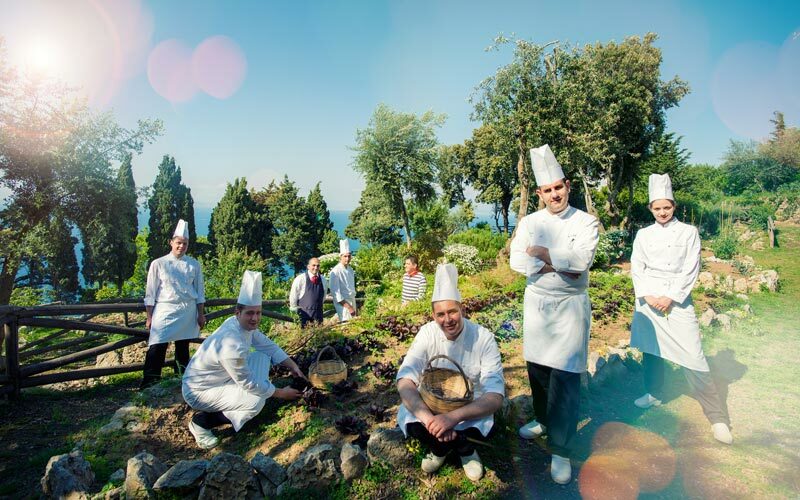 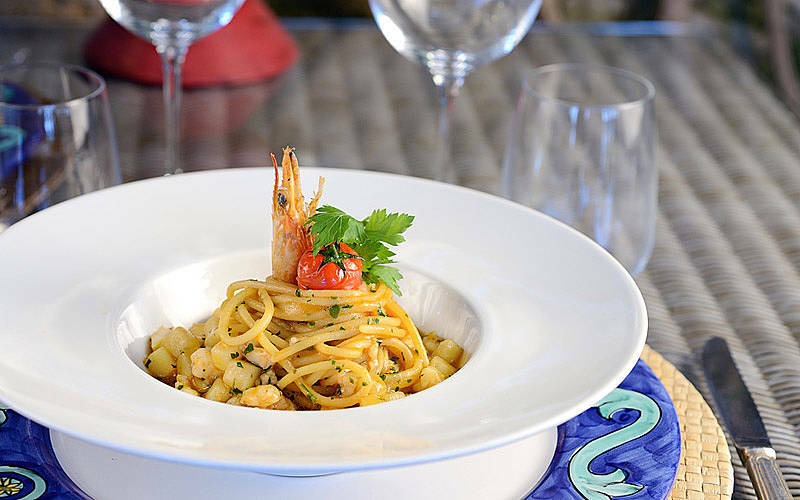 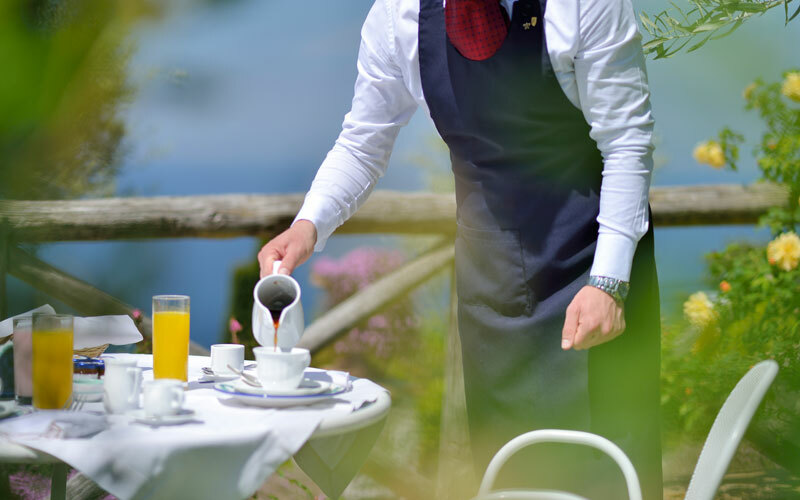 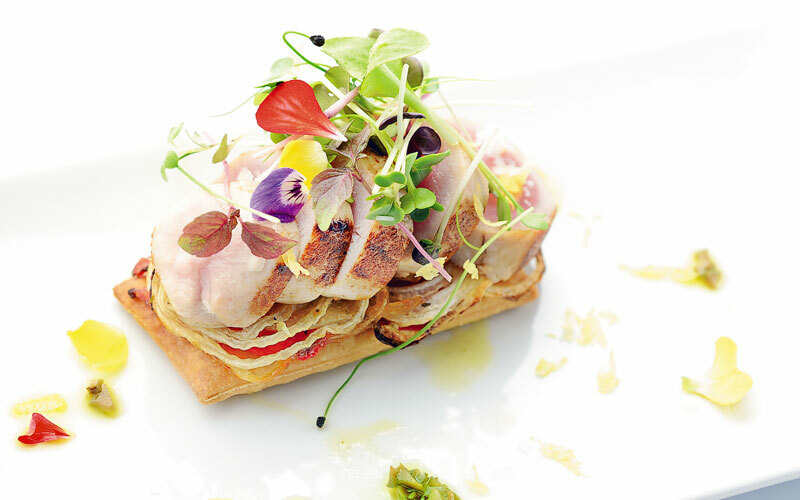 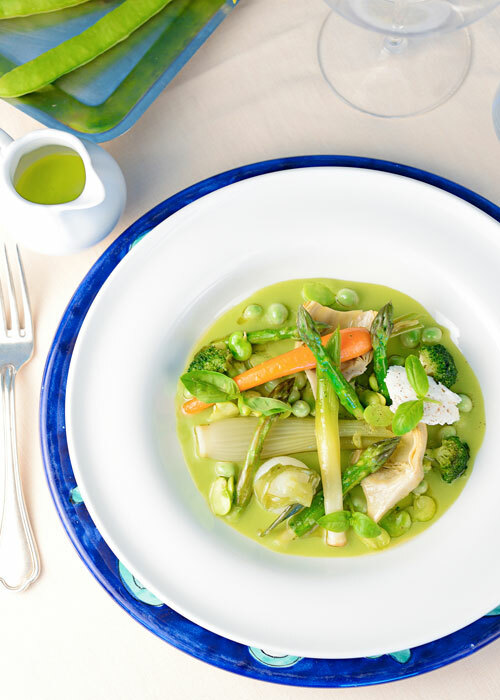 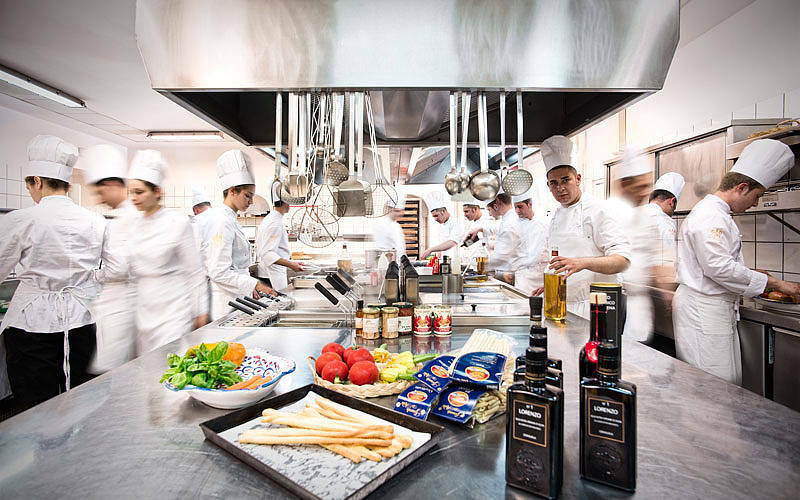 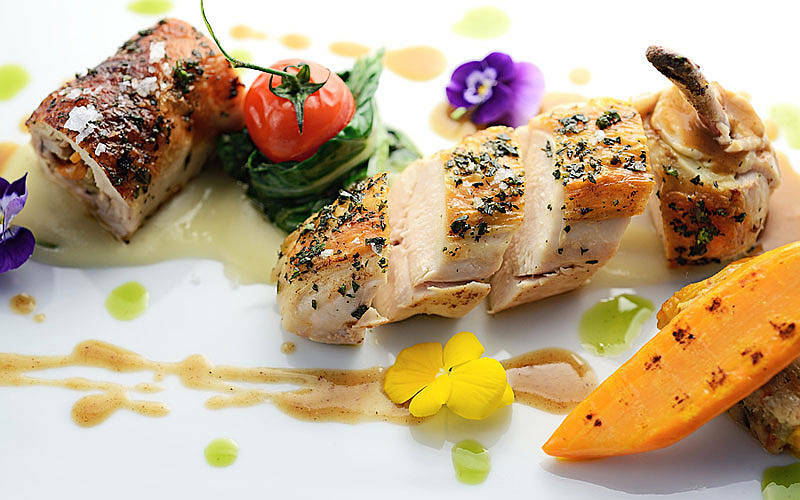 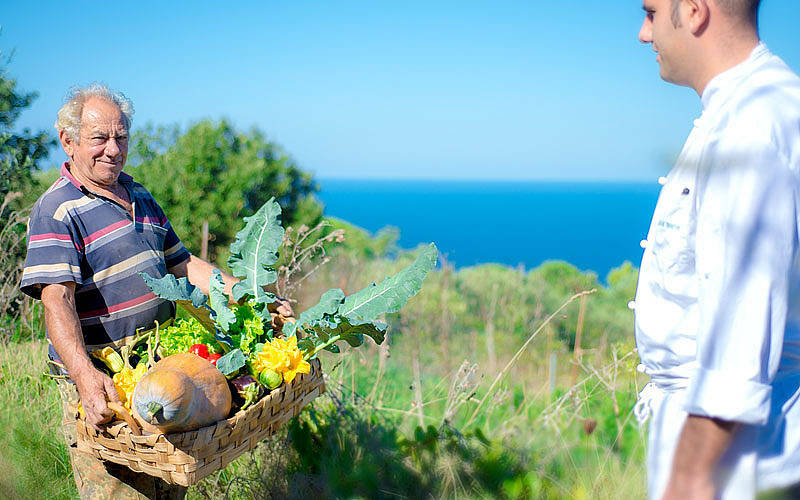 For those eager to sample the island's highly praised cuisine, Caesar Augustus' poolside "Terrazza di Lucullo" restaurant, is the perfect choice. 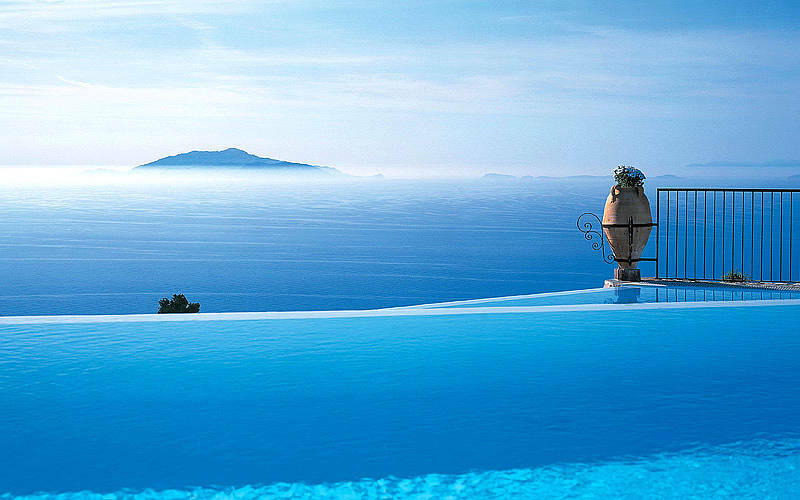 In the last 30 days 36 people have visited this page. 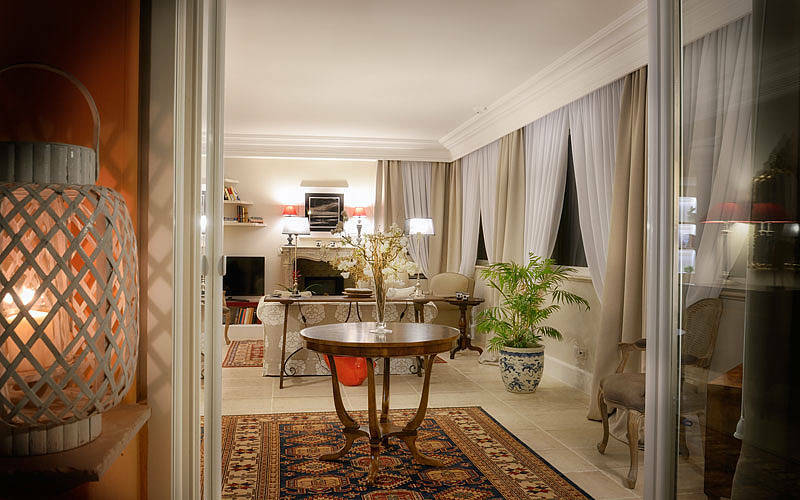 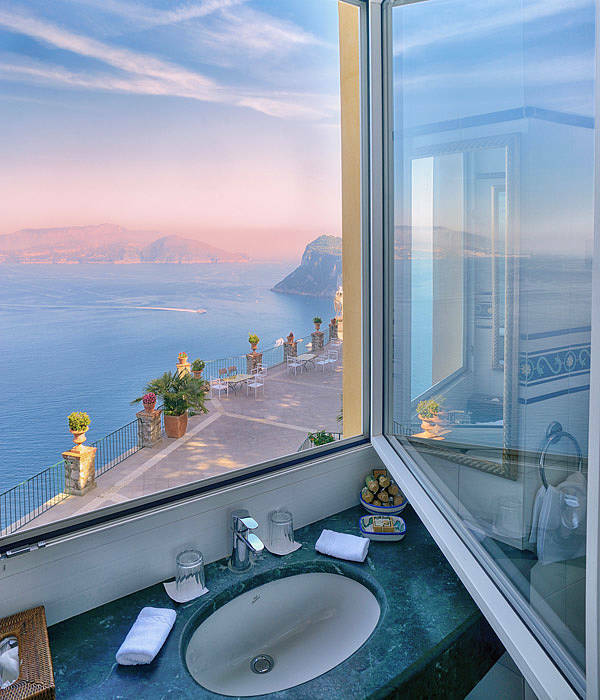 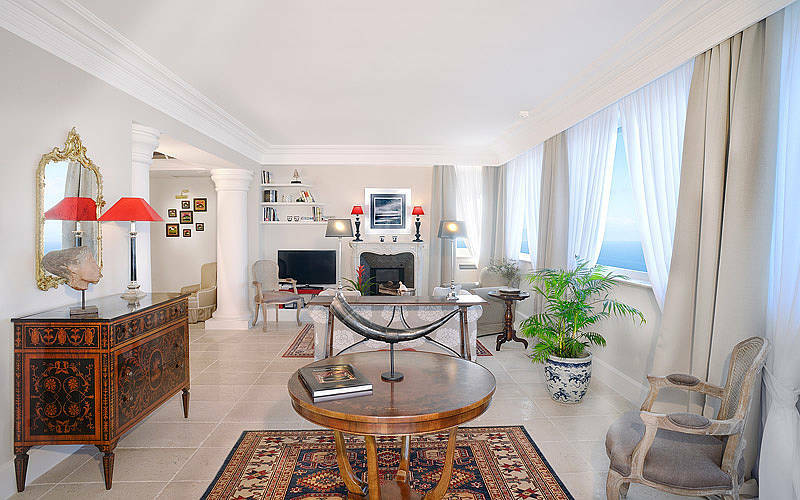 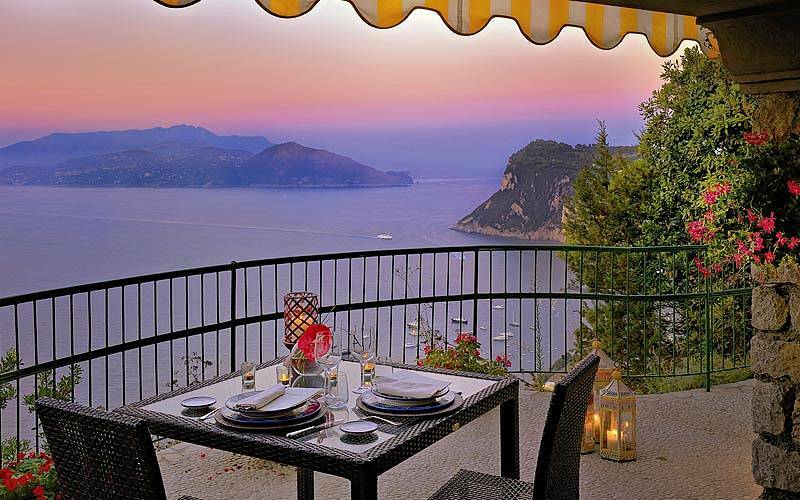 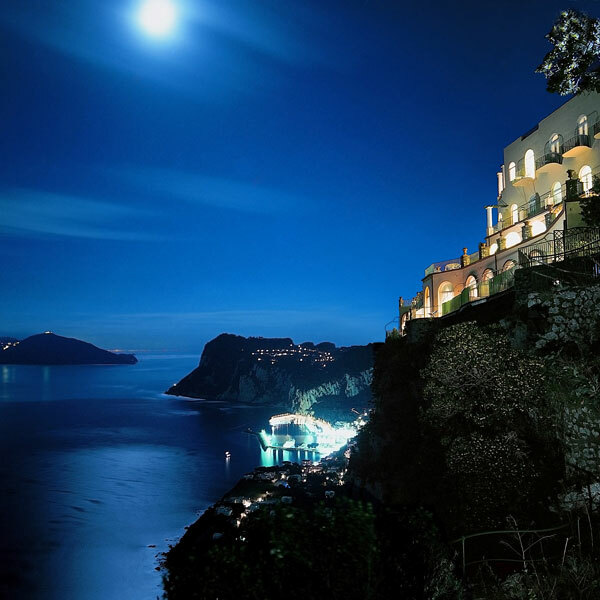 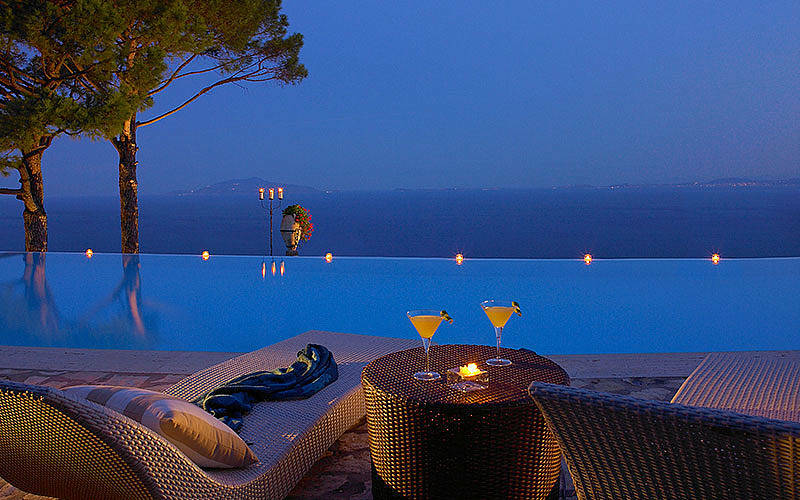 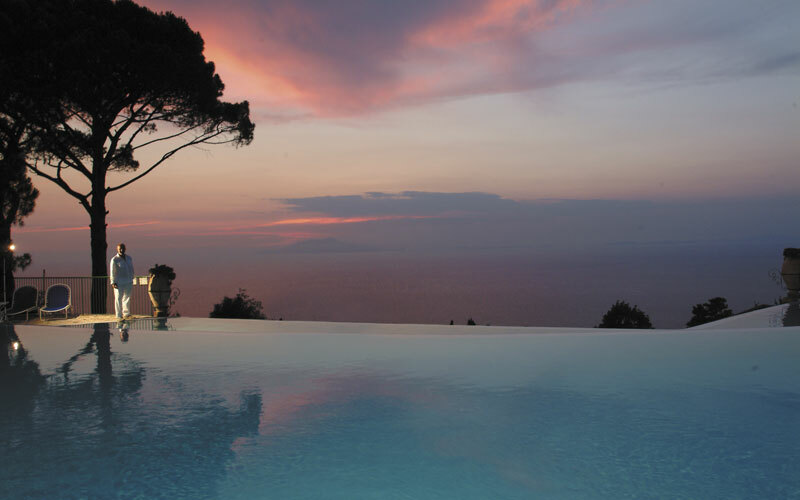 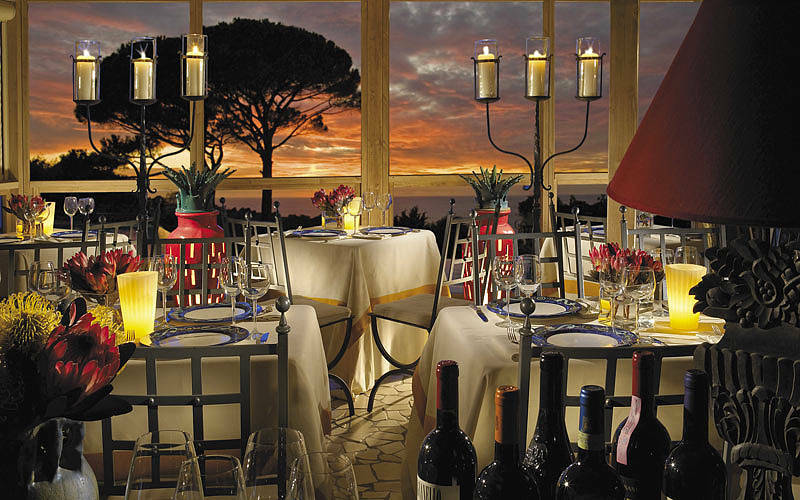 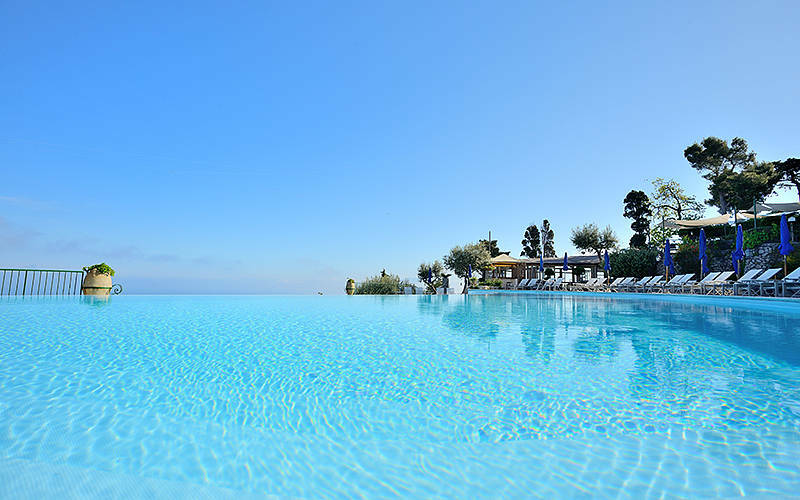 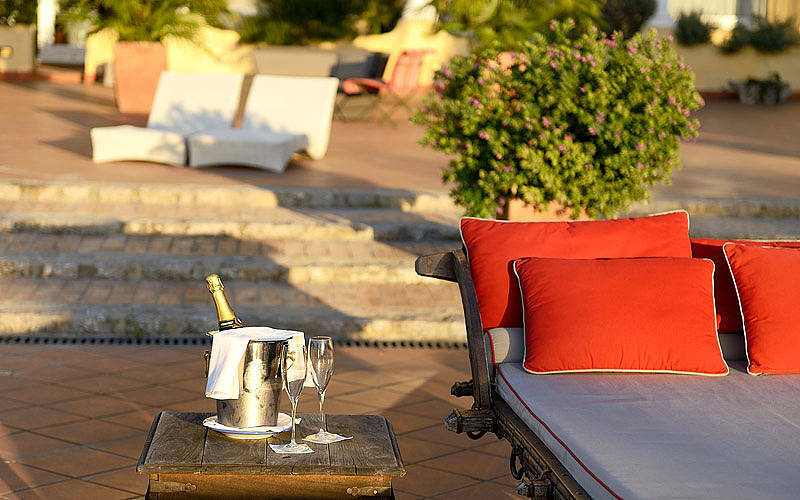 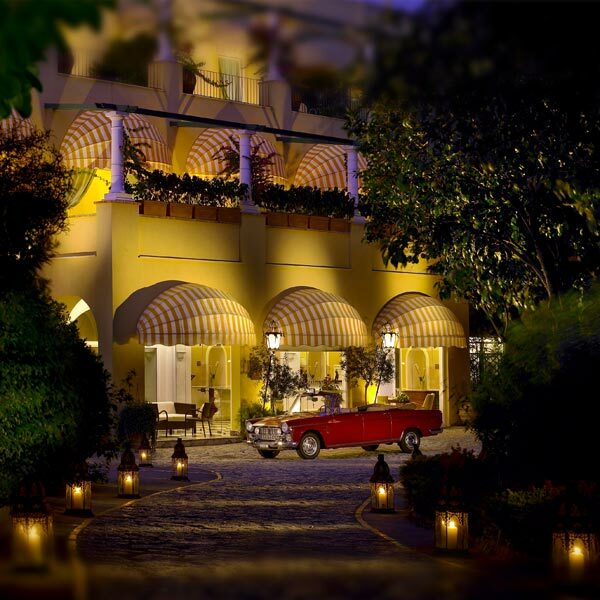 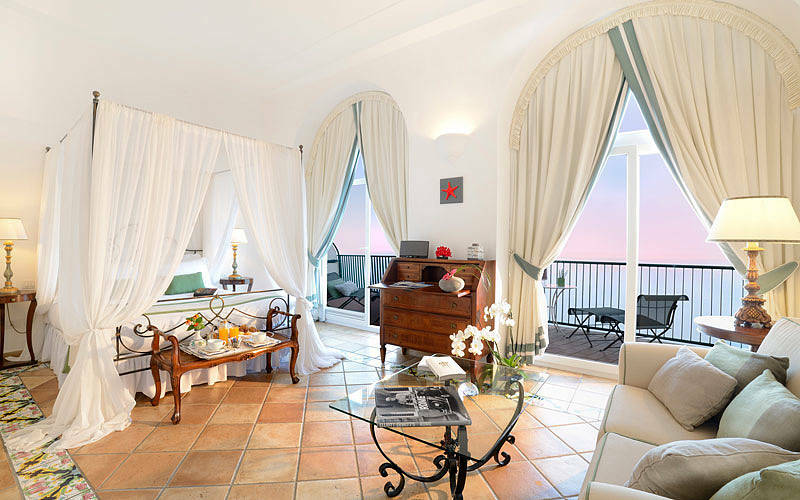 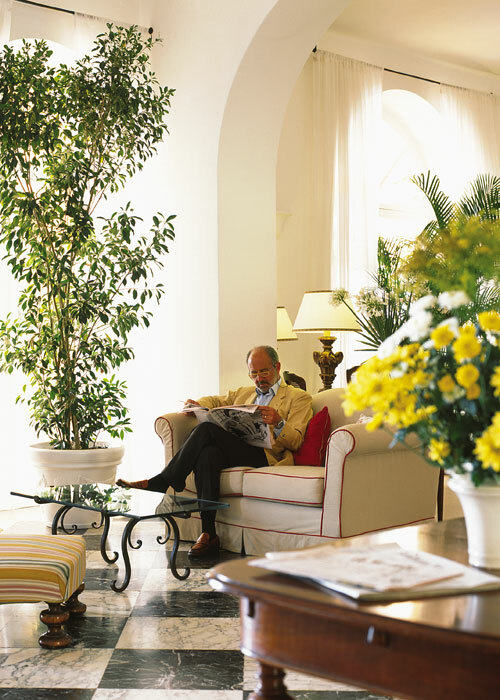 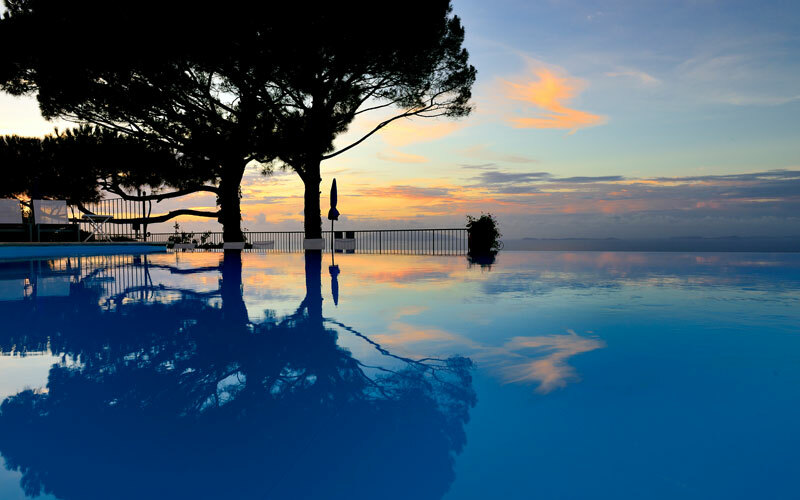 Hotel Ceasar Augustus is situated in one of Capri's most panoramic spots. 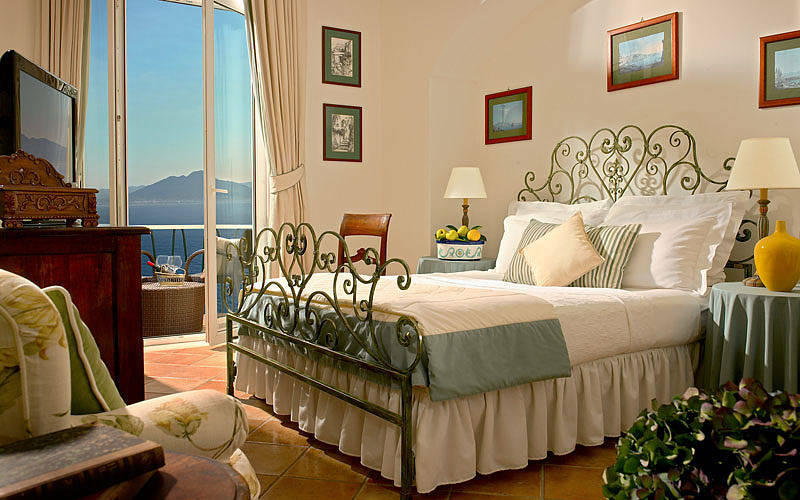 From the terraces and suites of the hotel, an incomparable view of the island and the Bay of Naples can be seen, a view which extends from the Sorrentine peninsula to Mount Vesuvius and as far as the island of Ischia. 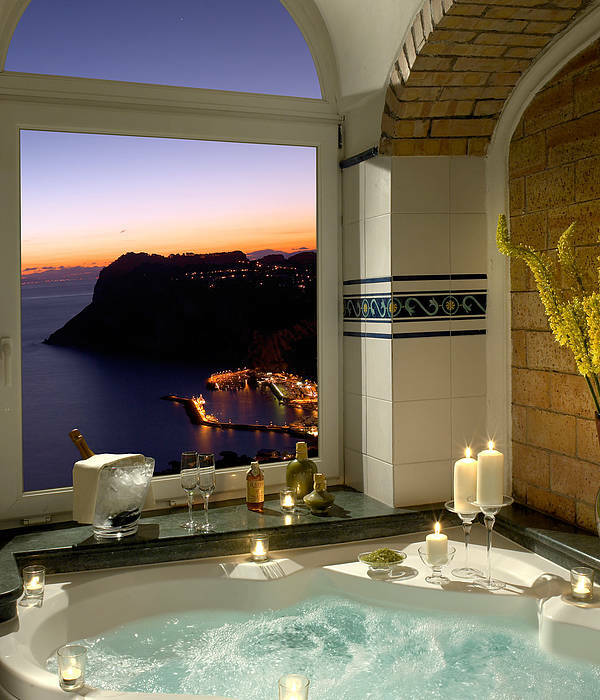 The quickest way to send a request? 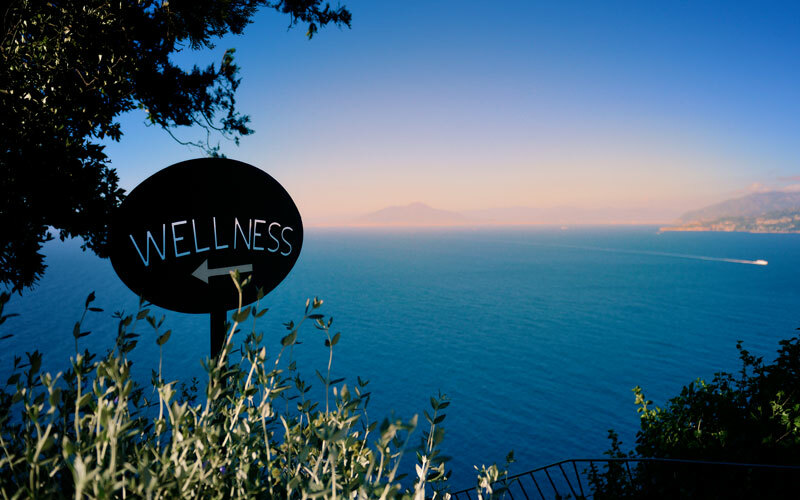 Login! 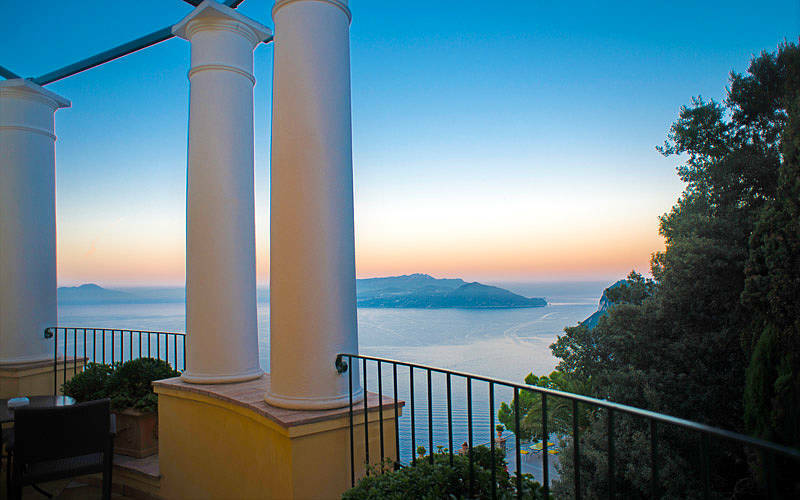 Despite the passage of time and the arrival of tourism, the little town of Anacapri has managed to conserve all of its typical Mediterranean charm. 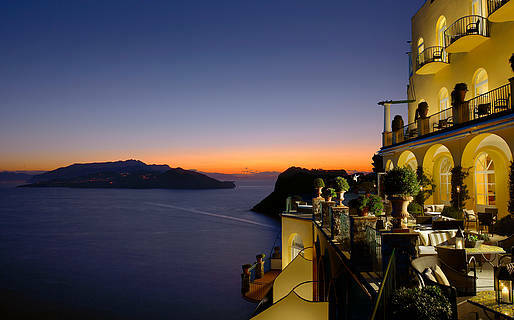 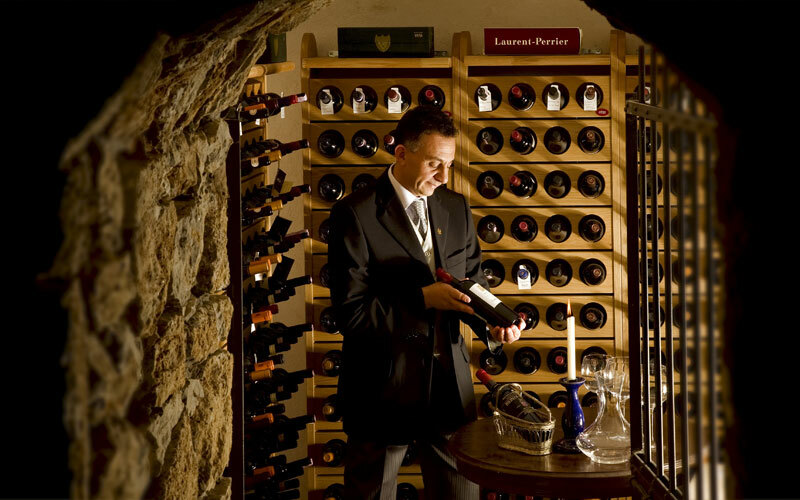 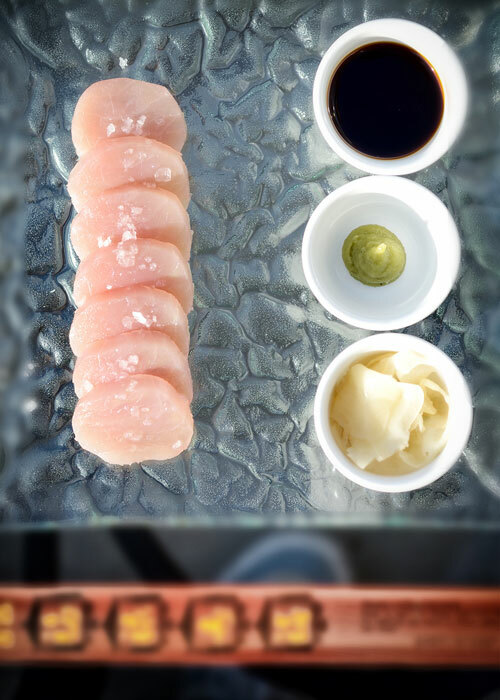 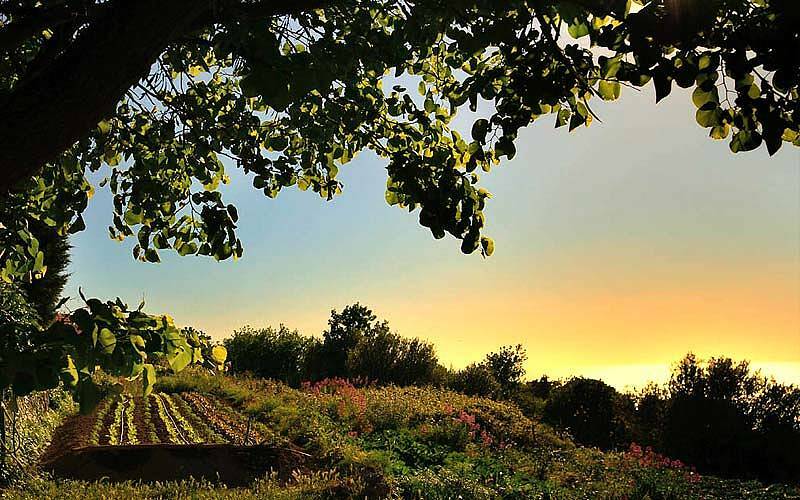 "You must come here, at least once in your life, even for the briefest of getaways. "